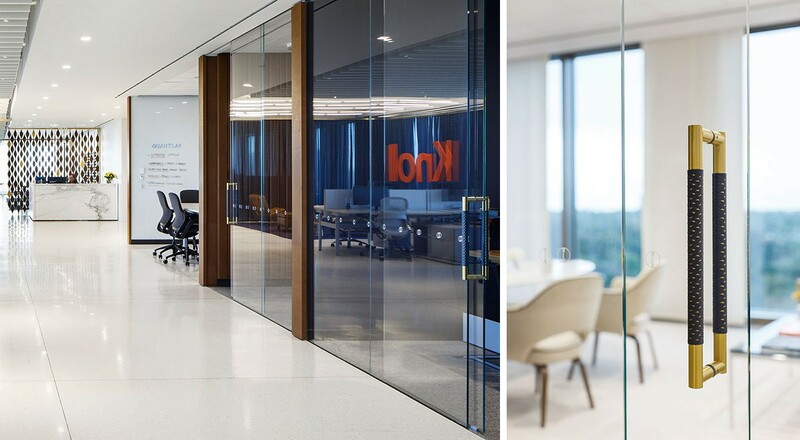 For the Houston showroom of Knoll, Architecture Research Office created a space to express the company-wide design aesthetic while making subtle nods to its Texas locale. 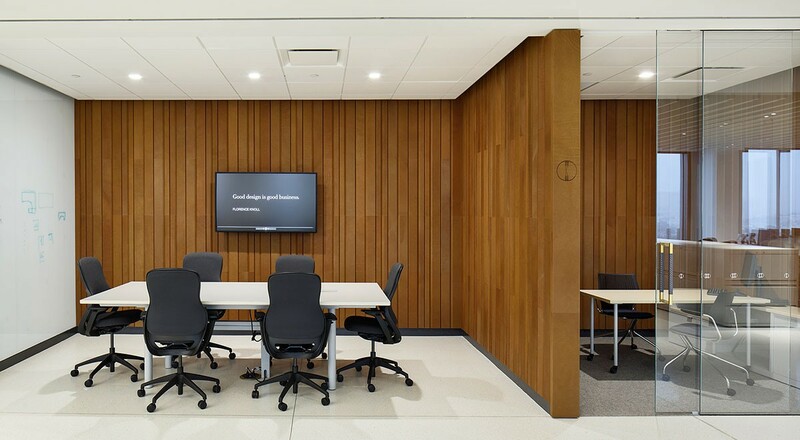 Upon entering the showroom, ARO Plank 2 in Saddle pairs the linear geometry of the modular wall system with the natural characteristics of naked leather. 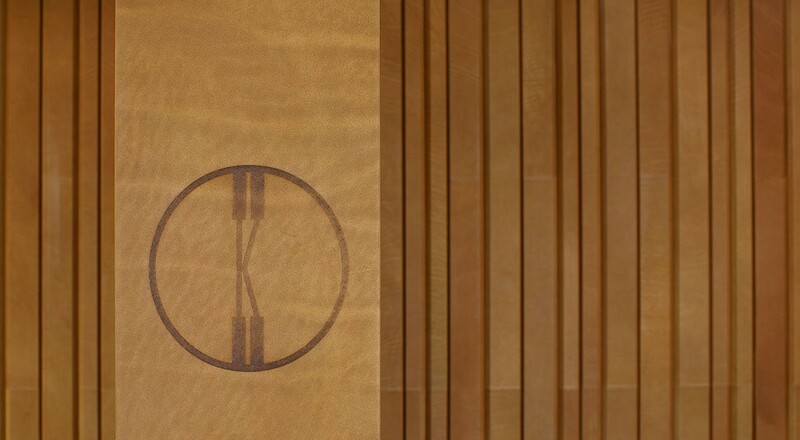 An unexpected detail of Knoll’s ‘Circle K’ logo branded into the leather of one of the end panels evokes the nearby cattle ranches. 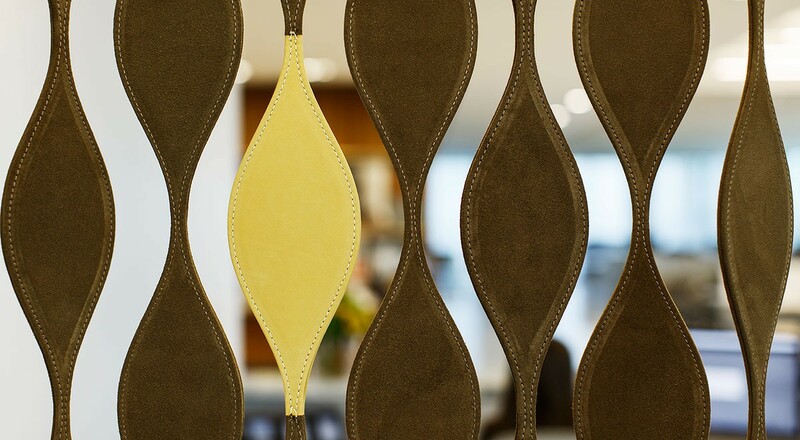 Behind the reception desk, a custom petal screen is created with Maremma and Marissa leathers. 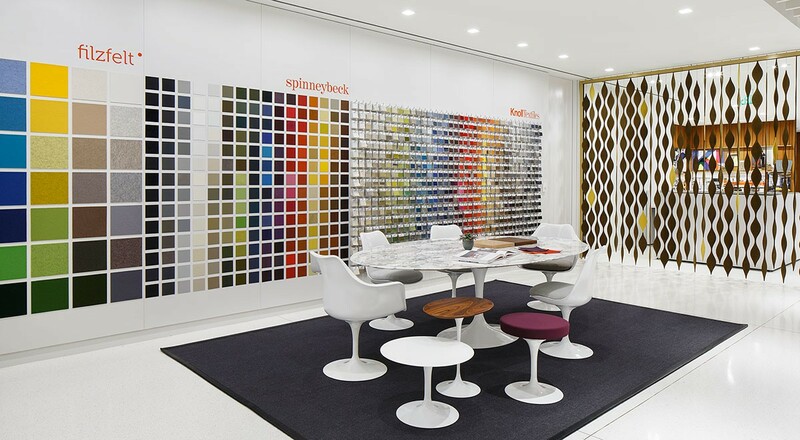 These playful curvilinear shapes create a graphic backdrop while adding texture through the use of sueded leathers. The reception seating is upholstered in Cervo and Hand Tipped leathers. 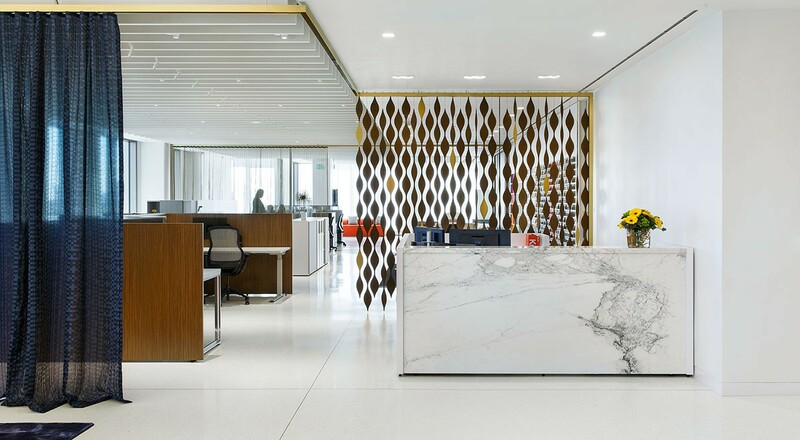 And nearby, door bar pulls on the private offices and conference room feature custom leather-wrapped pulls with Saddle leather CNC cut with one of ARO’s intricate custom patterns. 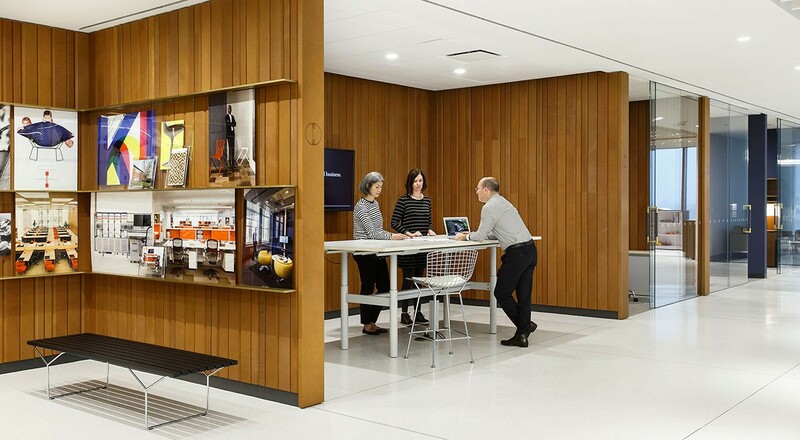 Spinneybeck can provide full custom fabrication and installation services. For more information, please visit the About Custom product page.